Results of the 2015 Deer Hunter Survey conducted by the S.C. Department of Natural Resources indicate that the statewide harvest of deer decreased about 4 percent last season, not surprising given the poor hunting conditions last fall. An estimated 111,035 bucks and 83,995 does made up a total harvest of 195,030, according to Charles Ruth, Deer and Wild Turkey Program coordinator for the S.C. Department of Natural Resources (DNR). Increasing rapidly through the 1980s and 1990s, the deer population in South Carolina has generally been declining over the last dozen years, and results from 2015 continued that trend, according to Ruth. Although the buck harvest was up slightly the overall harvest was down 4 percent from 2014 and 39 percent below the record harvest established in 2002. The reduction in harvest seen since 2002 can likely be attributed to a number of factors including habitat change. Although forest management activities stimulated significant growth in South Carolina’s deer population from the 1970s through the 1990s, considerable acreage is currently in even-aged stands that are greater than 15 years old. According to forest inventory data, during the last 20 years the states’ timberlands in the 0 to 15 year age class dropped 34 percent while timberlands in the 16 to 30 year age class increased 104 percent. These older stands are not as productive and simply do not support deer densities at the same level as younger stands in which food and cover is more available in the understory. Also, coyotes are a recent addition to the landscape and are another piece of the puzzle. DNR has recently completed a major long-term study with researchers from the United States Forest Service Southern Research Station at the Savannah River Site investigating the affects coyotes are having on the survival of deer fawns. This research demonstrated that coyotes can be a significant predator of deer fawns, that predation by coyotes can be an additive source of mortality, and that efforts to increase fawn recruitment via coyote control provided only modest results and at high cost. As it relates specifically to the decrease in harvest during the 2015 deer season, it should also be noted that hunting conditions in South Carolina were poor during the fall of 2015. This began the first week in October with a 1,000-year rainfall and flooding event spawned by hurricane Joaquin in the Atlantic Ocean. The magnitude of this event forced a temporary season closure for all game species in parts of 15 coastal counties. Although these closures only lasted five to 10 days, the aftermath of the flooding in these areas and throughout the state created access and other problems for deer hunters. Additionally, hunting was negatively impacted by ongoing rainfall and unseasonably warm temperatures for the remainder of the deer season. Top counties for harvest in 2015 included Hampton, Bamberg, and Orangeburg in the coastal plain and Anderson and Spartanburg in the piedmont with each of these counties exhibiting harvest rates in excess of 13 deer per square mile, which should be considered extraordinary. “Although the harvest has declined in recent years, South Carolina still ranks at the top among Southeastern states in harvest per unit area,” said Ruth. All areas of South Carolina have long and liberal firearms seasons and the majority of deer (159,144) were taken with centerfire rifles in 2015. Shotguns (15,407 deer) and archery equipment (12,579 deer) also contributed significantly to the overall deer harvest, whereas muzzleloaders, crossbows and handguns combined (7,801 deer) produced less than 5 percent of the total statewide harvest. Although the annual Deer Hunter Survey focuses on deer hunting activities, there are questions on the survey related to the harvest of wild hogs and coyotes in the state. Results of this year’s survey indicate that about 29,027 coyotes were taken incidental to deer hunting, down 7 percent from 2014. About 33,404 wild hogs were killed statewide, representing a 12 percent increase from 2014. Other survey statistics indicate that about 132,534 South Carolina residents and 13,490 non-residents deer hunted in the state in 2015. 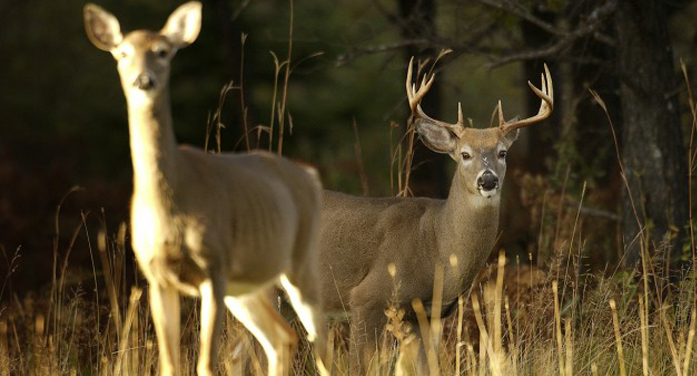 Deer hunters reported an overall success rate of 66 percent, which is outstanding. Overall hunting effort was estimated at over 2.2 million days. “The number of days devoted to deer hunting in South Carolina is very significant and points not only to the availability and popularity of deer as a game species, but to the obvious economic benefits related to this important natural resource,” Ruth said. About $200 million in direct retail sales is related to deer hunting in South Carolina annually.